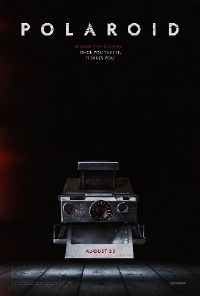 From the producers of the The Ring and The Grudge, comes the next iconic horror franchise: Polaroid. High school loner Bird Fitcher has no idea what dark secrets are tied to the Polaroid vintage camera she stumbles upon, but it doesn’t take long to discover that those who have their picture taken meet a tragic end. Based on the award-winning 2015 short of the same name by Lars Klevberg, the story mixes elements of THE RING and FINAL DESTINATION to create a unique and scary films. Polaroid will be released August 25, 2017.